So I went to the salon I grew up in, hasn’t been there in a while and saw they were advertising BBs now. 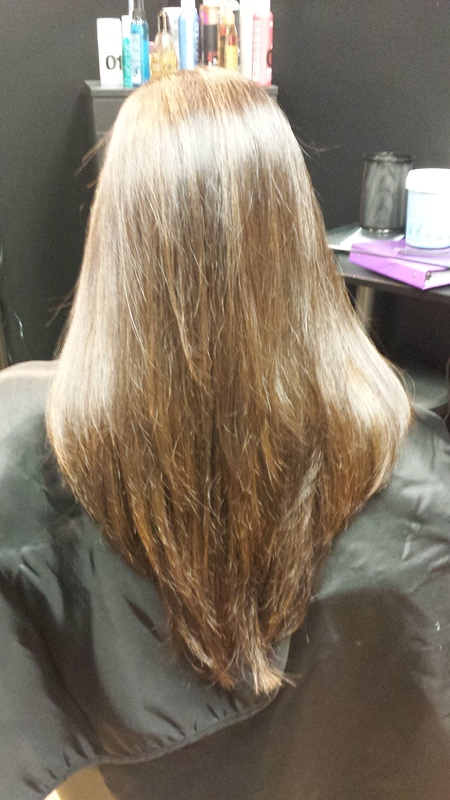 I had recently gotten one from a different salon that does all the steps you list, but after reading your post, I realize that I got a keratin treatment today and I’m pretty upset. What effect is this going to have on my hair? Is there any way to salvage it? He said to not rinse my hair for 3 days, and not use any clips or headbands, etc etc. Should I say something? Because this is honestly really irritating, my hair feels thick and stiff, not the way it does after the other salon does it. I apologize I am just getting back to you. I had a baby! 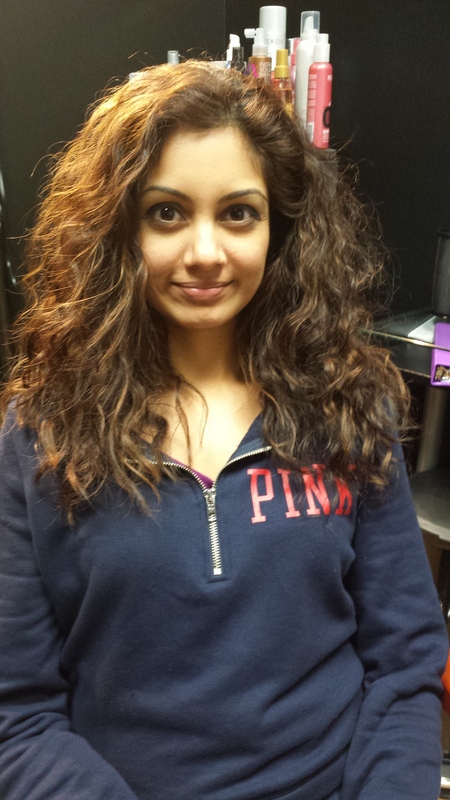 To answer your question…the keratin is a lot heavier si I’m not surprised at how you feel. It should fade out gradually and then just switch back to BB. 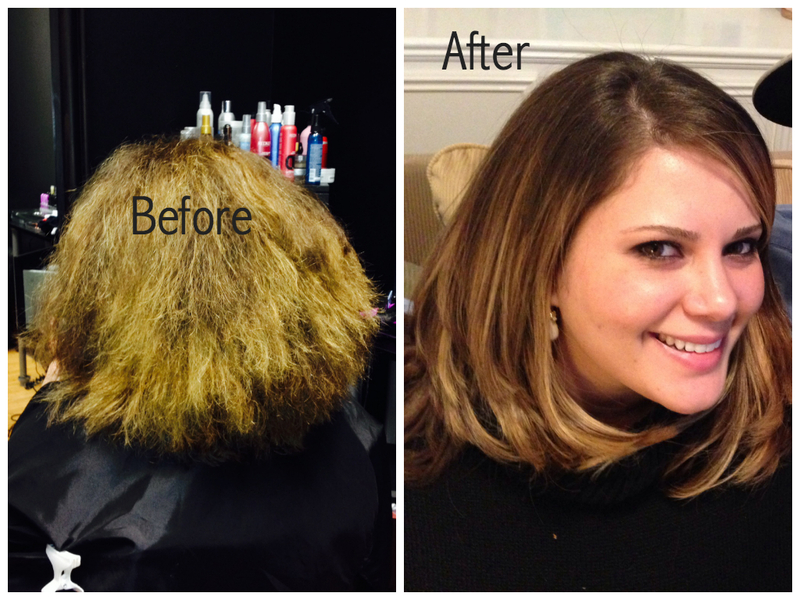 It’s frustrating to get duped like this but I honestly think most salons just don’t think there is a difference. If they would just get certified they would know better! Hi, great blog! I’ve been getting the BB treatment for years – just the way you spelled out above the right way. My hair is very much like the woman in your “pictorial” both in texture and length. I have two questions. First question is are there any tricks for the stylist when doing the treatment that would help avoid the flatness on the top of my head? Don’t get me wrong, I like the straightness and lack of frizz but there is virtually no lift on top and so my hair separates at my cowlick which (normally) only happens when my hair is dirty. My second question is about the shampoo and conditioner, after the fact. I find the BB products very heavy and my hair gets dirty within 2 days, There has got to be another product I can use. I’ve read what you’ve written about this, I used to use the Morocan Oil Shampoo and Conditioner instead of the BB products and I would get 4-5 days between washings and the BB treatment itself was not compromised. But in the last year it started to feel the same way as I’ve experienced with the BB shampoo and conditioner. Your thoughts? Are you not allowed (literally or ethically) to suggest any other products to use? Thanks in advance for any wisdom you can impart! Hey! Great questions. So the stylist can do the flat iron part like normal maybe about 1.5 inches from the root and then go back and do the root in thicker sections. This will leave some volume at the root but still smooth it. As far as products, I have several clients who don’t prefer the BB products. I have them use Livingproof products but still use the BB Masque every few washes. LP keeps hair cleaner longer and helps cut down nimber of washes which in turn means the BB stays longer. 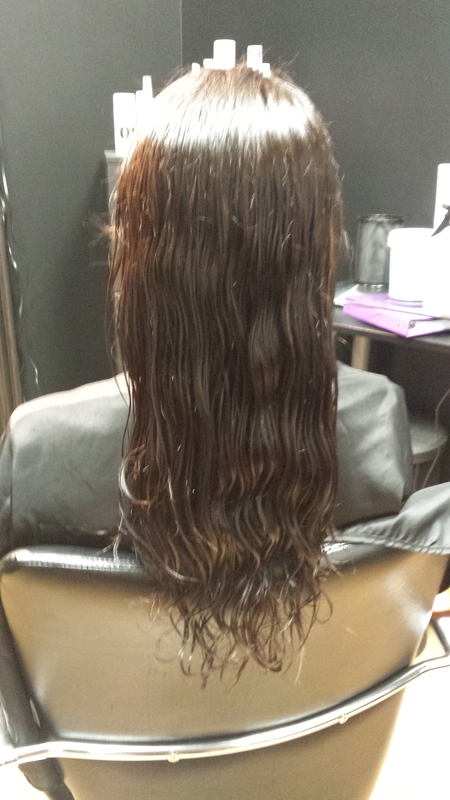 The Masque from BB is the only product that has their propietary protein in it so it helps refresh the blowout. Thank you. Could you be a little more specific as to which LP products – they have quite a lot! 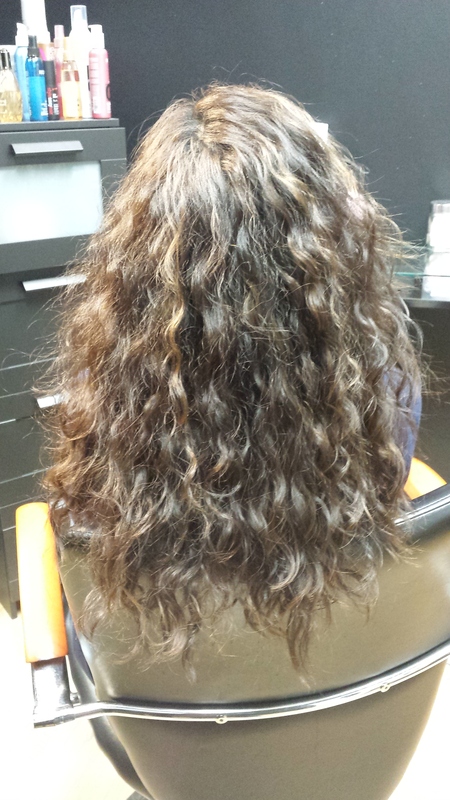 It depends on your hair type but in general the No Frizz franchise works great for my clients and me. As long as what you’re using doesn’t contain sulfate it should be fine. You’ll always run a little risk on vacation. If the hotel water is mineralized or chlorinated it will strip out the BB no matter what you use. Same thing with getting it wet in a pool. Have a fun and safe trip! 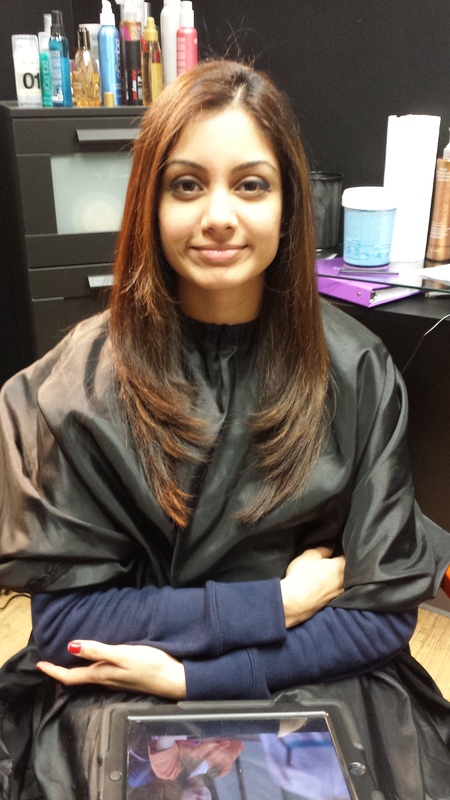 Hi, I just got a Brazilian blowout done but the stylist did not perform the second rinse and did not apply the mask. She said this is because the results last longer without the second rinse. Is this true? 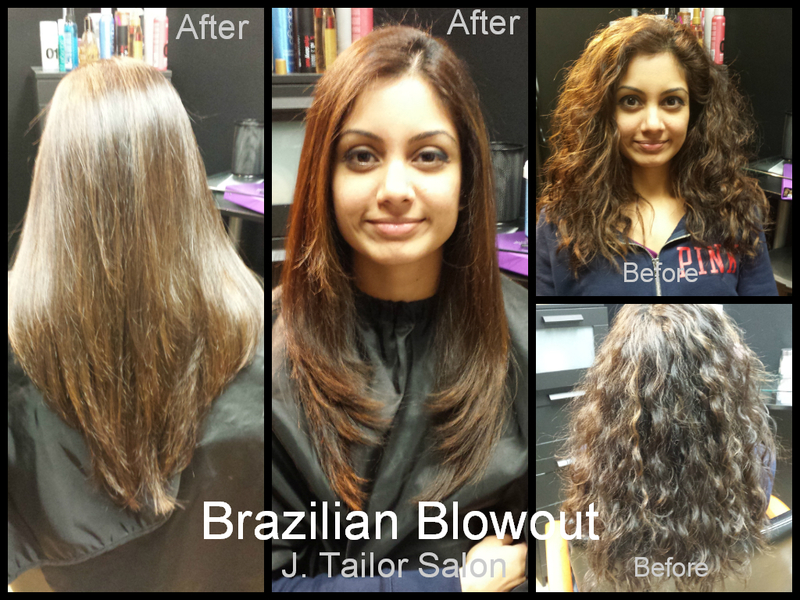 This is the first time I’ve gotten a Brazilian blowout that didn’t apply the mask. My hair doesn’t feel or look as sleek as it usually does. I disagree. It lasts half the time the way she did it. Did she send you home with the mask? No she didn’t. I happened to buy the masque though. If I apply it can I salvage it? If you haven’t washed yet, yes. Rinse hair for several minutes until the hair feels less slimy. You want to rinse the excess solution. Do NOT shampoo. Apply the masque and leave on for about 5-10 minutes. Rinse hair thoroughly. After that you can style as usual. It’s important you don’t shampoo it in this step. And after you do all that you should be good for at least 12 weeks. I got the treatment on 11/24/16 and LOVE it. 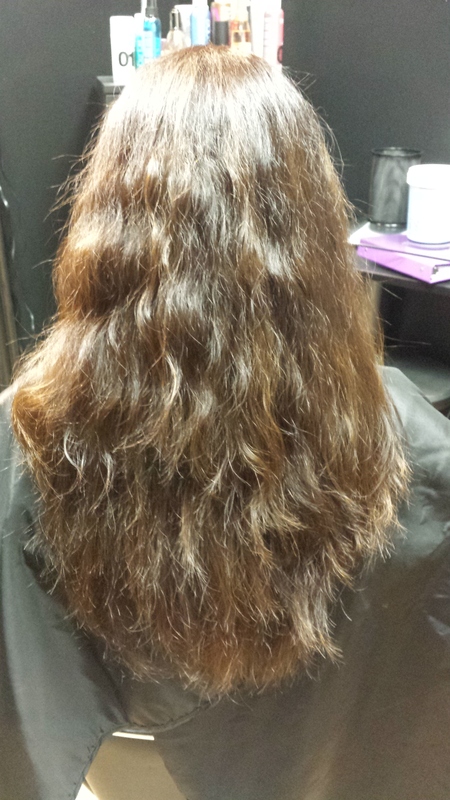 I’ve been using OGX Ever Straight Sulfate & Sodium Free Brazilian Keratin Therapy Shampoo and Conditioner. I also love how soft it all leaves my hair. My question is I had my procedure done at a hair school and they did not tell me about the mask or using special shampoo/conditioners so hopefully I haven’t been ruining it. I wash it about twice a week. If I go get the mask should I be ok using the current shampoo/conditioner and add using the mask once a week? Should I go buy the special BB shampoo and conditioner? 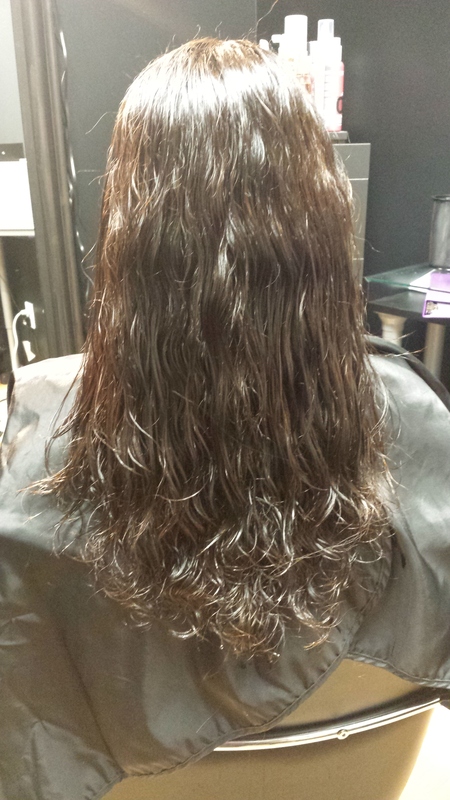 My hair was thick, curly, dry and frizzy before the treatment. Sorry accidentally hit send too soon! As long as it is sulfate free it won’t do damage but definitely get the masque. It has some of that protein in it to refresh the results. Not all of my clients live the BB shampoo and conditioner so instead they use No Frizz from Livingproof plus the masque and that works for them. Sulfates and minerals can strip out the BB faster. I’m so glad you loved your results!! Hi there! I’m trying to figure out if my stylist is giving me the full BB or the express BB… both times she has asked me if I wanted express and I said no I wanted the full because it last longer and she has said ok. I’ve read the steps and she is doing all the steps but it takes her like 20-39 min tops for the whole process! I know I have short hair but the first time I got the full BB many years ago, the process took much longer and I felt the results lasted a lot longer than these past 2 times with this new stylist… What exactly is the difference between express BB and Original/Full BB? Thank you! With the express the application is more in larger sections and not meticulously applied in smaller sections. The ironing is also quicker with less passes. And finally the rinse and condition step is omitted. If she’s done in 30 minutes she is most definitely skipping steps. Does that help? Hi, Just coming back to say thank you so much for the Livingproof recommendation. My hair feels much cleaner and I get a good 4 days between washing. I augment with the masque every other wash. Here’s a new Q: I keep hearing (on various products) that buying on Amazon (for example) it is possible to be getting an in authentic product? Is that true or just a scare tactic? Such a great blog! Thank you and I’m so glad the products worked out! So yes it’s highly likely you’ll end up with counterfeit or expired product. It’s called diversion and it’s a HUGE problem in this industry. Shady companies are luring consumers with cheap price tags and really convincing imitation bottles. Just like there are knock off purses there are knock off salon products. They cut the product with various chemicals or substances or sometimes it’s simply cut with water. Think of it like getting medicine from a pharmacist vs. a sketchy guy under the bridge. You have no idea where the products were sourced or who is sending them to you. Anyone can sell on Amazon. Salons and any authorized retailer of salon product have to sign contracts and can guarantee authenticity. Additionally if you have an adverse reaction there is recourse when dealing directly with a salon. They can contact the manufacturer or give you a refund. But who would you go to yell at if you get a chemical burn from the concoction you bought on Amazon? I personally dealt with this. Two of my clients decided to buy Lanza products on Amazon and both had a full body rash after using. It was all along the trail the stuff took when the rinsed it off. Scary! Another instance was when I bought my face wash at Nordstrom Rack. Any of those places like Marshalls TJMaxx etc sell expired product. The face wash I bought had that plastic expired smell that cosmetics get when they’ve turned. I hope this was helpful…let me know if you have any more questions! BANGS! I have very long multi highlighted layered hair. I’ve been a BB’er for years. After moving to another state and finding someone here to do the BB, my bangs became weird so I grew them out. Well I decided to bring them back and now I remember why I grew them out. The person that does the BB is not my regular stylist (I drive for a much cheaper price). Just got a BB last week and we agreed it made sense to cut/create the bangs before the BB so that the stuff can be applied with the bangs down on my forehead. You gave me great feedback before and solved other problems I was having post BB. Do you have any advice on this one? The ends of my bangs (which are minimal – sort of wispy – my forehead is still visible… but the ends are about 2″ off my face. This morning I tried putting a little mahogany oil on them and just holding the blow dryer to blow straight down, but no improvement. My stylist thinks maybe I should have a heavier bang hoping the weight would solve the problem but I know it doesn’t look well on me. Any suggestions you might have would be great! They should settle after a few washes but it sounds like they were flat ironed at a curve toward your face and I normally do it the opposite way so the bangs swoop down instead. Does that make sense? So what’s done is done. It should be fine after a few washes don’t fret. When doing the BB do you apply the stuff keeping the bangs on the forehead, the side, or straight back? As for flat ironing, what do you mean by the “opposite way”? The opposite direction of the natural fall. So for example side swept bangs are worn down in front of the face so I round brush them back instead of wrapped around the brush coming forward they are down up and around the brush going back. So I flat iron simarly.